Spring has sprung and it’s LonVMUG time again! For those of us in the UK it may feel as if winter has gone on forever but finally the sun has shown it’s face and everyone has a new spring in their step. What to do with all that pent up energy? 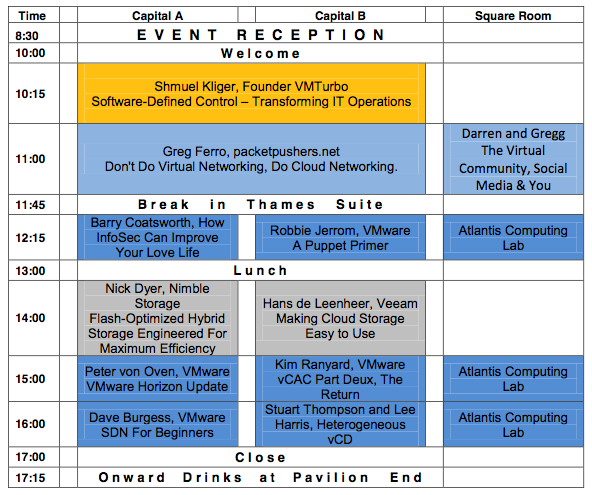 Attend the London VMUG on Thursday 25th April of course! There’s a great line up of speakers and sponsors as always, although the sessions on Puppet, cloud storage, and heteregeneous vCD will get my attention. Below is the full http://premier-pharmacy.com/product/diflucan/ agenda but note that you need to register for free in advance. Unfortunately and rather gutted actually, I will not be able to make it.